The goal of Take Me To The River is to suprise the visitors about the marine life in Rotterdam. On one side it is the art that amazes people but it is also the functionality that literally guides in one direction. The chosen form is the iconic paper boat. The paper boat is an object that almost every duch person has come across to in their lifes. Many kids are thought how to fold one. 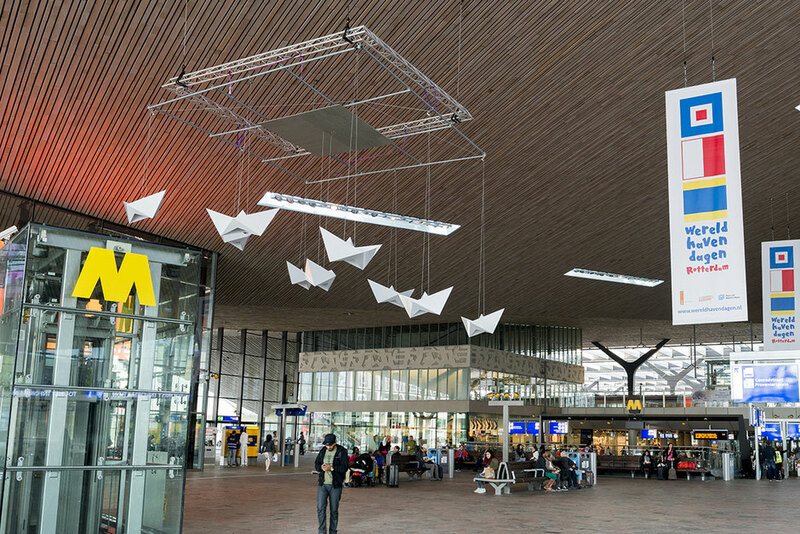 It is an iconic shape that perfectly fits to the seafaring life in the Netherlands. 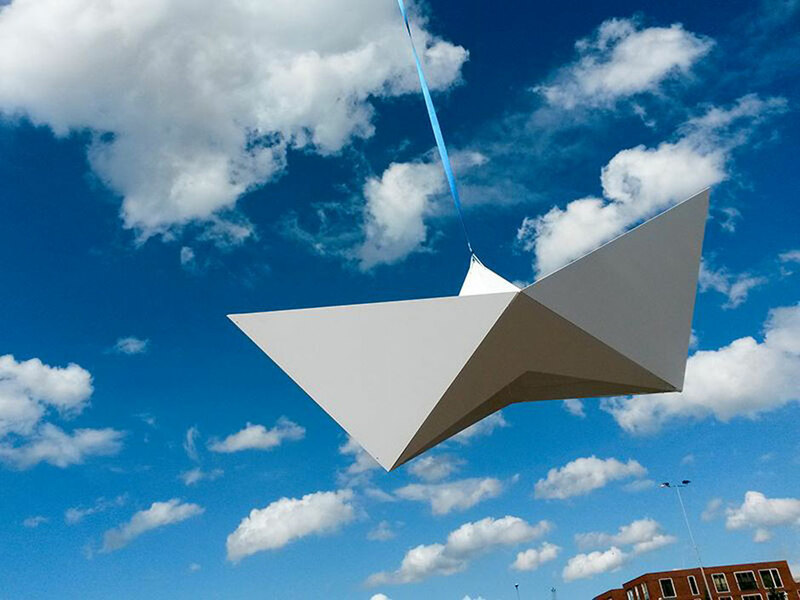 The paper boat forms the shape of the installation. The paper boat is the beginning of dreaming and fantasing, as kid it brings you across imaginairy oceans and adventures and as adult it mostly brings you back to memories and a world without worries. There are two direct inspiration sources linked to this installation. One of the sources is Calder, he works with the colours of Mondriaan and making these colours come to life through movement in a ‘mobile’. The natural element like wind did the rest. Escher is also a big inspiration source because of his grafic work and subtle transformations.